For most homeowners, updating a kitchen island means getting a granite countertop put on. For some, however, it means taking the kitchen island to the next level and turning it into a functional piece of art. If you’re bored with your current island and you’re looking to do a remodel, gather some inspiration from these ten amazing kitchen islands. If you’ve been looking for a way to incorporate the ocean into your kitchen design, why not turn your kitchen island into a giant fish tank? You’ll love watching the fish in the morning while sitting at your island, sipping your coffee. When you want to update your kitchen to a modern feel, no kitchen island is better than the Archea kitchen island. This freestanding, modular unit boasts ample countertop space and tons of storage. If modern isn’t quite modern enough for you then maybe futuristic is more your style. This curvy kitchen island could be right up your alley. Looking like it came right off a spaceship, this island has a double sink, cooktop, and ample counter space. The Origami Island is a streamlined, complex island reminiscent of the ancient art of folding paper. This island is perfect for the modern kitchen with hints of elegant Asian influences. 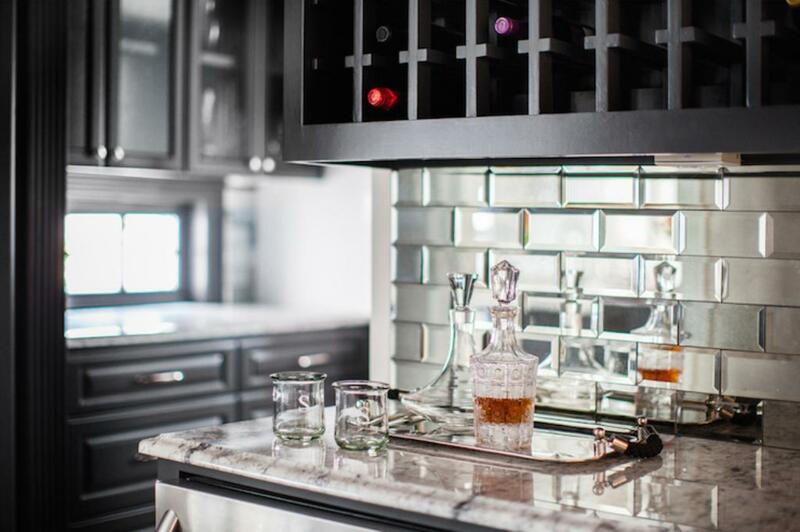 Wine and food have been paired together for centuries, so why not pair your kitchen island with a wine cellar? This island has four separate storage compartments so you’ll always have enough wine on hand for you and your guests. 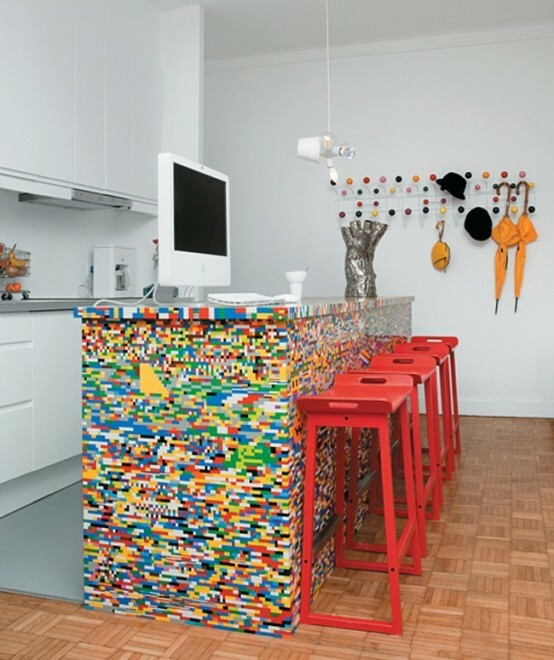 Simon Pillard and Philippe Rosetti used over 20,000 Lego bricks to cover this once basic Ikea kitchen island and turn it into a colorful and creative work of art. Storing bread and root vegetables is no longer a hassle with this kitchen island, which has special compartments for keeping bread and veggies fresh. Another futuristic kitchen island on our list, this one is more J-shaped though still has a double sink, cook top, and tons of counter space. It’s the perfect kitchen island for a small space or minimalistic design. For the kitchen of a sea captain or chef who loves nautical decor, this boat-shaped kitchen island would be the perfect addition. With clean lines, a sink, and even a mast, this kitchen island is certainly unique and amazing. If you have a small kitchen but still want a kitchen island you can sit at, opt for a kitchen island with hidden seating. This island has a bench that fits into the design, creating an elegant and practical way to maintain the perfect balance between space and comfort.